It’s made out of corrugated iron and houses a wool and craft shop. 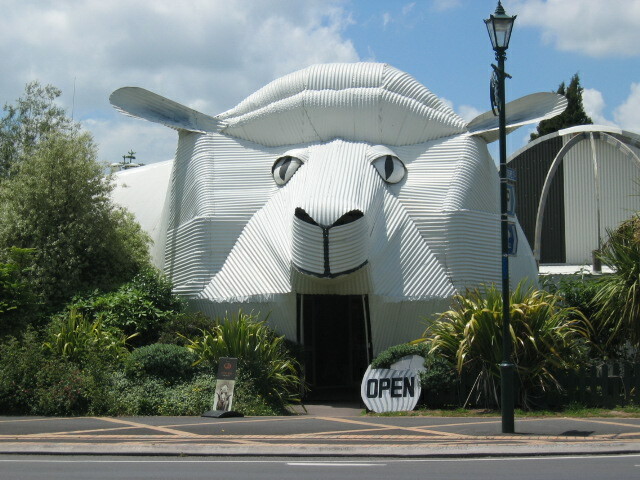 If you have a corrugated iron sheep, you also need . 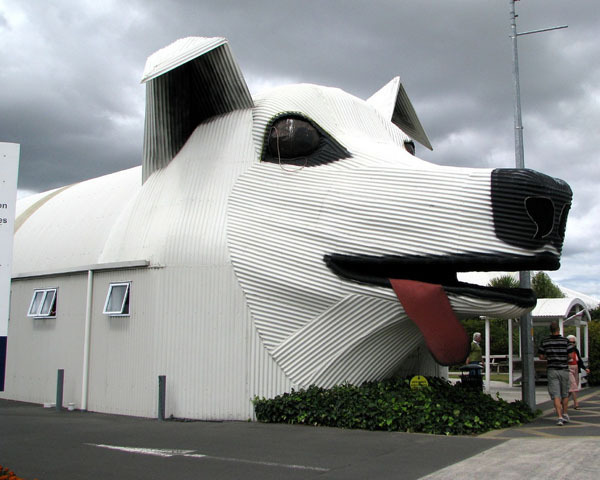 . . a corrugated iron sheep dog. 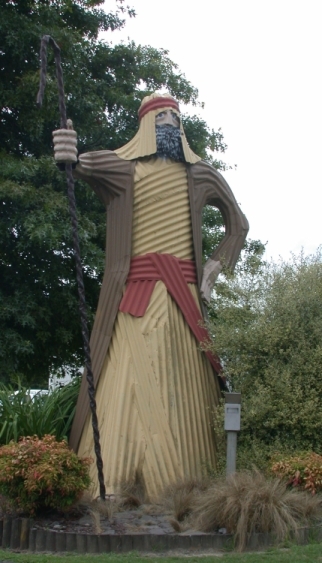 Tirau has one of those as well . . . The sheep, sheep dog and shepherd are adjacent. 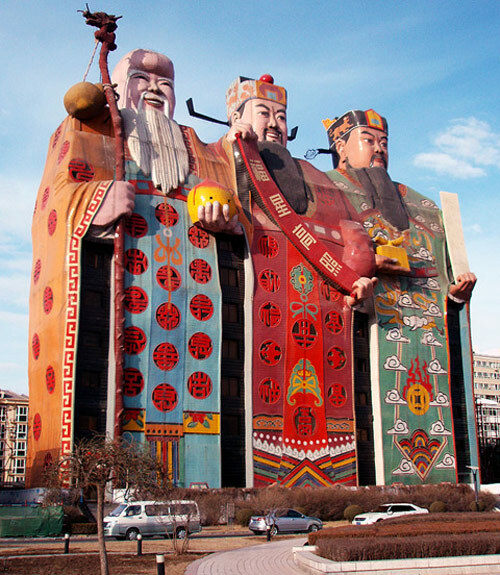 The Tianzi Hotel in Hebei Province, China, was built in 2000 and depicts Fu, Lu and Shou, not Donald Duck’s nephews but Chinese gods that symbolise good fortune, prosperity and longevity. 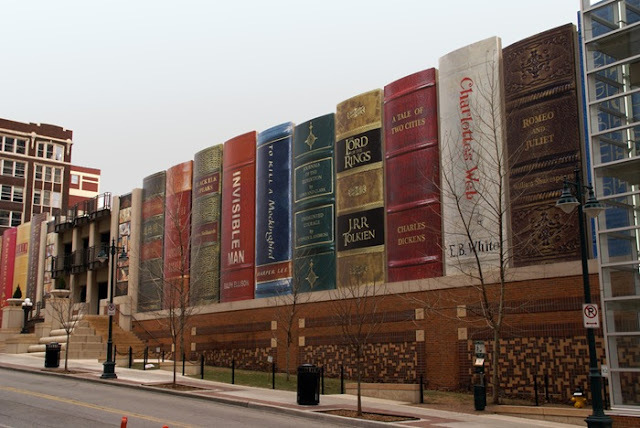 The building is 10 stories high and is the largest image hotel in the world. The god on the left, Shou, holds a peach that is large enough to contain a suite. Entry to the hotel is through his left foot. 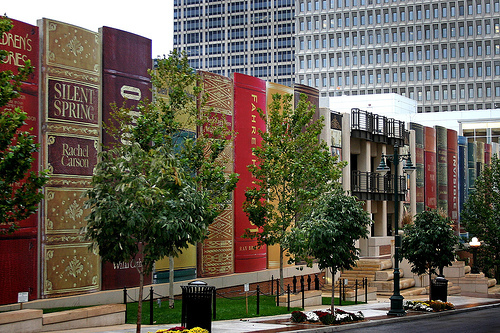 Kansas City Library Parking Garage for the new library. Local residents voted on which books would appear on the facade. The Basket House in Newark, Ohio was completed in 1997. 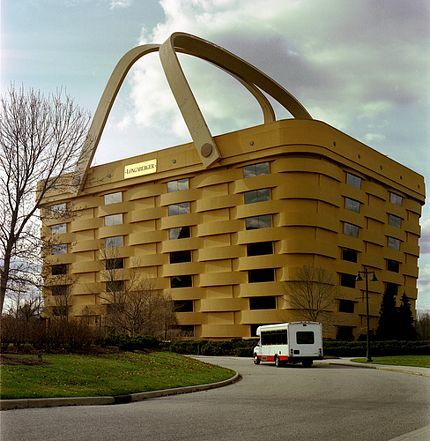 It is the headquarters of the Longaberger Company, a manufacturer of handcrafted maple wood baskets. 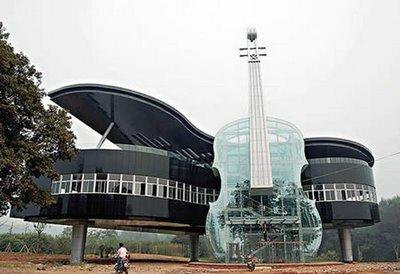 This violin and piano shaped building is located in An Hui Province, China. The glass violin contains an escalator, the piano building contains city plans to showcase growth within the region.